Based on the characters from Archie Comics, Riverdale returns with its subversive take on small-town life. 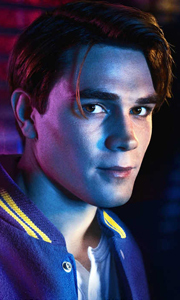 Determined to protect the sanctity of his town in the wake of his father’s shooting, season two of Riverdale finds Archie (KJ Apa) seeking vengeance. As a civil war brews between the Northside and the Southside, loyalties will be divided. Betty (Lili Reinhart) and Jughead’s (Cole Sprouse) relationship enters fragile territory when ..